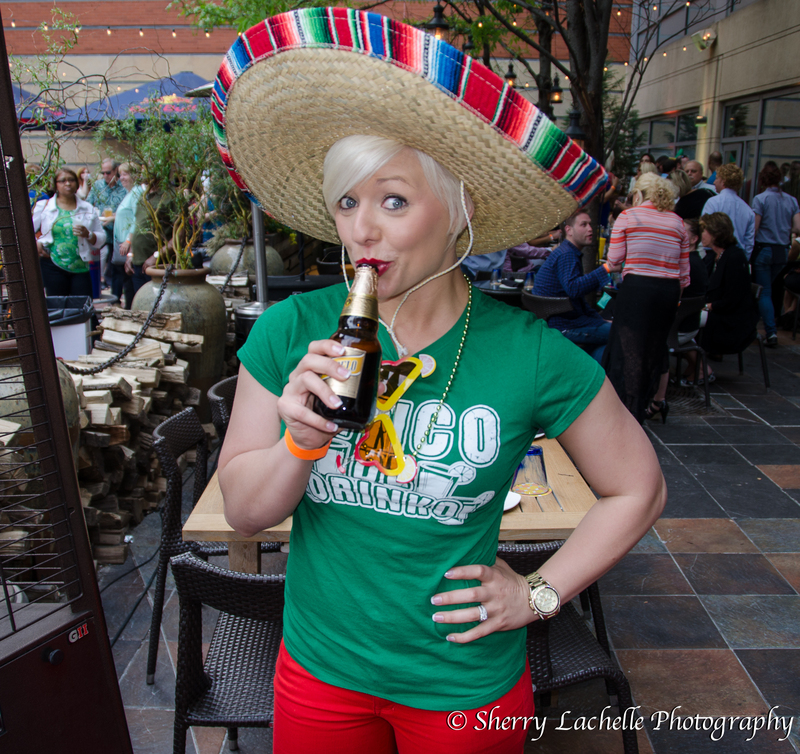 Cinco de Mayo is a holiday made for partying and Cincinnati loves to party! A group of us met at Nada Restaurant in downtown Cincinnati and of course I brought my camera. I ran into people I’ve photographed for iSPYCiNCY at other events and took their photograph. I stopped this girl for a photograph and love her expression! I even ran into my hairdresser…Jocelyn (on the right), who I’ll be seeing before I go on my trip next week! Everyone congregated on the patio for the party while the DJ kept the music going from a balcony above the group. And of course, I did too! Then some people were saying “Ride the Bull” “Ride the Bull”, but I didn’t want to pay to do it, so somebody in the crowd paid. It was the first time for me and I didn’t stay on long…maybe 7 seconds. The bull looks scared! It was a fun night! Tomorrow night I get to take pics at Party in the Park for iSPYCiNCY. I was going to go anyway, so nothing like getting paid for going to a party!! Look at you, Sherry! 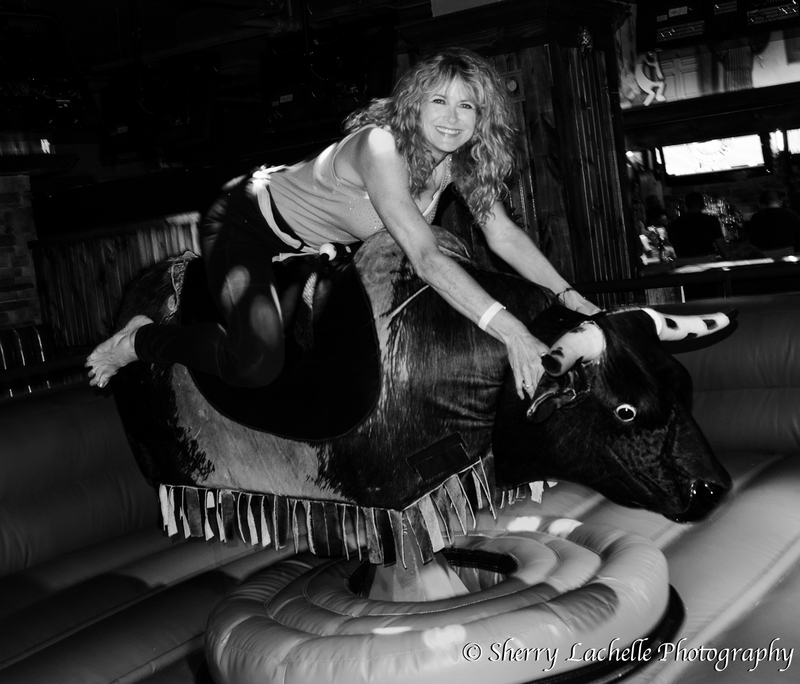 I have only been on a bull once, it was in a country western bar and I was in my twenties! You go, girl! Enjoy your Mother’s Day!! I had to try it once!! Happy Mother’s Day! you folks know how to party…I like that. Too bad we don’t live closer…we could party together! I’m so glad I got to experience it! Thanks! Nice pics. Looks like a fun time. Jocelyn does my hair too! Small world! Isn’t she great? You also just reminded me that I really need to make an appointment with her. Wow…it is a small world! Beer, bull, great time! Way to go, all of you.